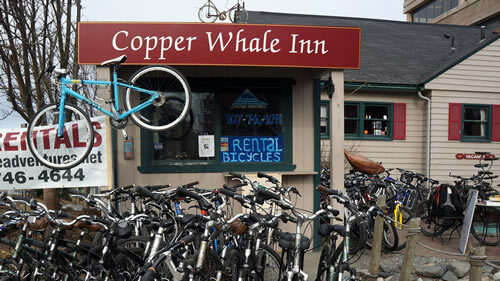 Lifetime Adventures is conveniently located at the corner of 5th and L street at the Copper Whale Inn. The closest bike rental shop to the Anchorage Coastal Trail! We will provide quality bike rentals at competitive rates, and most importantly, excellent customer service. Come and visit us while you are in Anchorage this summer! Free Lock, Helmet, Map of the Area with Each Bike Rental. We are proud to provide Trek and Gary Fisher quality bicycles for your adventure! 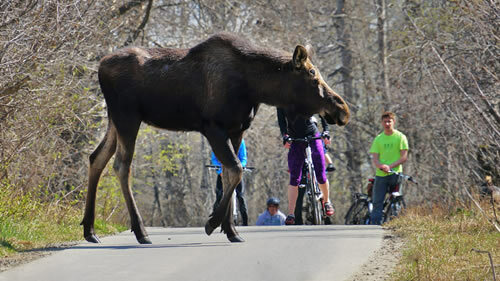 Discover the beauty of touring Anchorage’s Coastal Trail by Bike! Anchorage has been voted All-American City four times! A large reason is the Coastal Trail. Whether you have 2 hours or the entire day Lifetime Adventures bike rental shop can get you out on the trail. An excellent 1/2 or full day bike adventure stopping to visit Earthquake Park (located 2.5 miles from the shop) or a little further explore Point Woranzof (located 4 miles from the shop) if continuing on you will have the opportunity to see the incredible views from Kincaid Park (located 11 miles from the shop). Depending on the amount of you have there is a trip for everyone!